The ACRS medal will be presented at the Annual ACRS Conference and the awardee should give a plenary lecture within 2 years of the award. Nominees must be based in Australia and a financial member of the ACRS at the time of nomination and acceptance (if successful). Both peer- and self-nominations are accepted, and completed applications should be sent to the ACRS President via the Secretary. Nominations should comprise a completed copy of the ‘Nomination Form’, which includes a summary of the nominee’s contribution to the science, management, and/or service to Australian coral reefs, detailing the area of the research and its significance; and a maximum 3-page CV highlighting key contributions. The nominations will be assessed by a selection panel, chaired by the ACRS President. The selection committee will be comprised as follows: ACRS President, ACRS Vice-President, and two councilors (one ER and one ECR). NOTE: If a committee member has a conflict of interest, the ACRS President will organise a suitable replacement. The recipient of the ACRS Medal will be presented with a citation and ACRS plaque. Nominations should be sent to the ACRS Secretary by Sunday, 7th April 2019 (austcoralreefsoc@gmail.com). Late nominations will not be accepted. 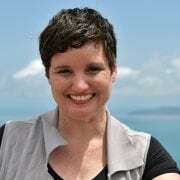 Associate Professor Tracy Ainsworth is a Scientia Fellow at in the School of Biological, Earth and Environmental Sciences at the University of New South Wales. Tracy’s research focuses on the impact of environmental stress on reef-building corals, their host-microbe interactions, symbioses and disease outbreaks. 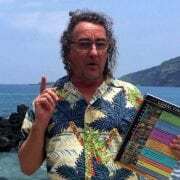 Dr. Russell Kelley is a science communication consultant and program director of the Coral Identification Capacity Building Program. Russell’s output spans scientific papers, book chapters, educational tools and television productions. 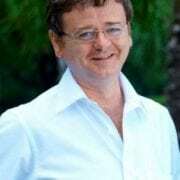 Dr. Terry Hughes is the Director of the Australian Research Council (ARC) Centre of Excellence for Coral Reef Studies. 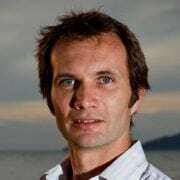 His research focuses on the linkages between the ecology of reefs and their importance for societies and economies. Dr. Nick Graham is now a Professor at Lancaster University, UK. He tackles large-scale ecological and social-ecological coral reef issues under the overarching themes of climate change, human use and resilience.